The year did not start too great. I had a flight booked for Hawaii to photograph the new lava ocean entry, but it dried out in the last days of 2011, so I cancelled that trip. I planned some winter photography instead, but I suddenly lost all mobility in one shoulder – making it difficult even to get dressed by myself. However, in the end, it was a good year during which I visited varied National Parks with extremes of weather, and captured a number of fleeting natural moments in the sky, before concluding the year with many locations in Asia. 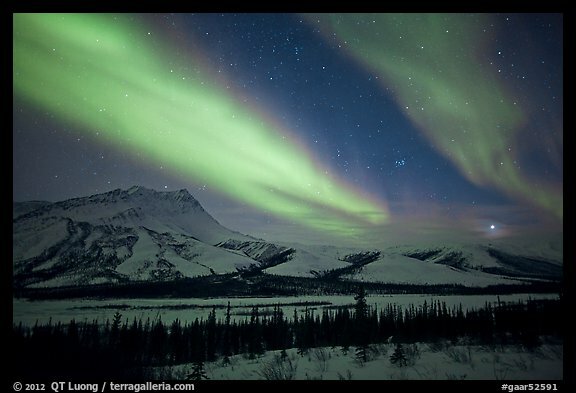 In March, I traveled to Fairbanks, Alaska to photograph the Aurora. For my first attempt at capturing this magical and elusive phenomenon, I got lucky. We had great weather with several clear nights and great sky activity along the Steese Highway and the South Denali Viewpoint. However, because of the remoteness of the location, I like this image, taken over the Eastern boundary of Gates of the Arctic National Park. 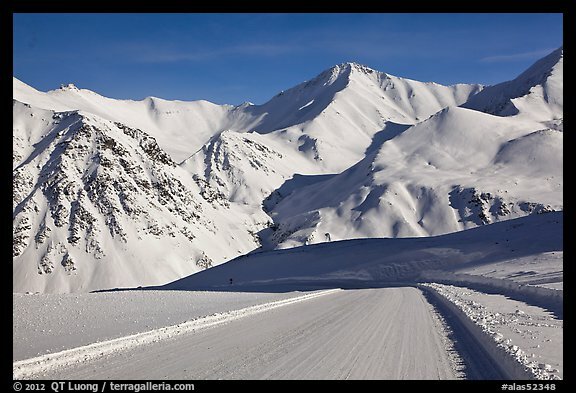 We then drove the Dalton Highway beyond the Polar Circle to the beginning of the North Slope, which was an adventure in itself, amidst temperatures down to -30F during daytime past the notorious Atigun Pass. At the beginning of May, I returned to Yosemite for a once-in a year opportunity. 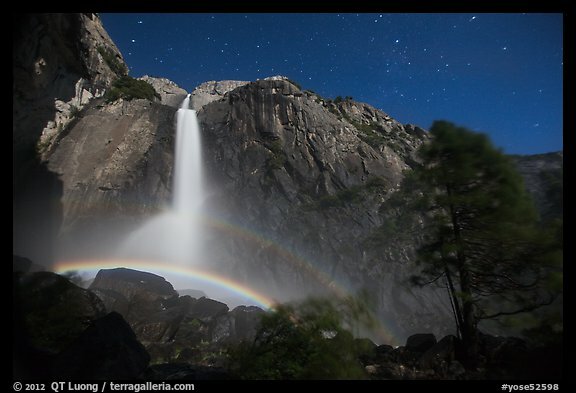 This time equipped with a rain deflector, I was at least able to photograph the moonbows (rainbows created in the mist of the waterfalls by the light of the moon) at close range. You’d think that Yosemite in May is warm, but standing in the extremely wet spray of the snow-melt water, I barely escaped hypothermia. A few weeks later, I traveled to much drier West Texas to photograph a much rarer event, the solar eclipse of May 20 which was annular. 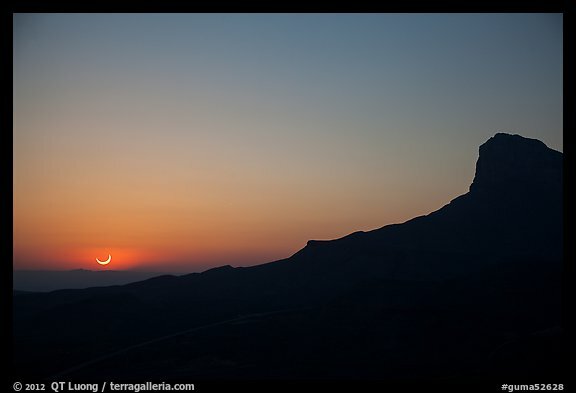 I chose to travel that far destination because the eclipse would occur there close to sunset, with the landmark El Capitan providing an interesting silhouette. I then re-visited the nearby desert National Parks. 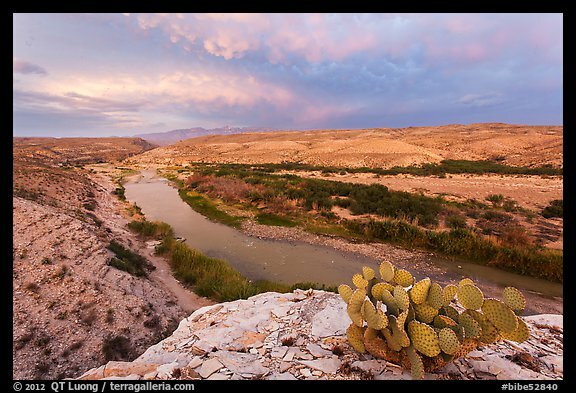 It was already hot in Big Bend – where I spent more time along the Rio Grande than in previous visits. 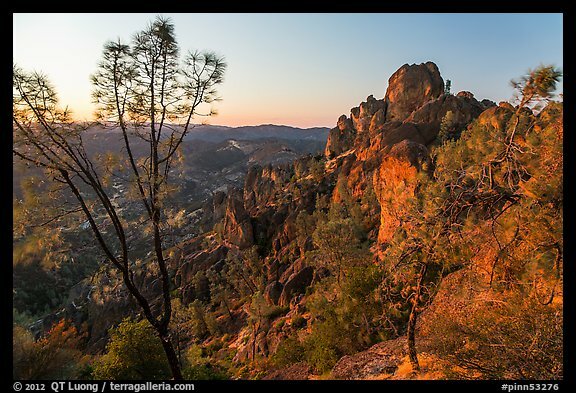 Temperatures rose above 110 F.
Much closer to home, Pinnacles National Monument also gets fairly warm (temperatures above 100F are frequent). I normally prefer to visit in colder seasons, but I did a summer visit to complete my seasonal coverage, in anticipation of the Monument becoming Pinnacles National Park. It almost did not happen, as the bill would have expired at the end of the year, however the US Senate did approve it on a Sunday Dec 31st session ! 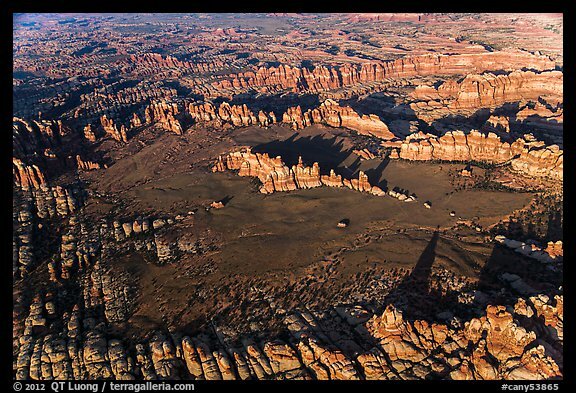 In September, I embarked on a wide-ranging road trip thought the National Parks of the Colorado Plateau. I revisited many parks with the goal of creating night landscape images which were not possible even half a decade ago, enjoying the challenges raised by changing moon phases from the new moon to almost full moon. The half-night that I spent at the mystical False Kiva, from sunset to moonset was particularly memorable. On that same trip, I also looked for fall colors in unexpected places, and at least found a way to set up foot into the Maze District of Canyonlands National Park, an area that I had planned to visit for a long time, but where my (relatively) fuel-efficient car was a definitive limitation. This left me wanting to see more of the remote areas of the park, for which a quick fix was to take an overflight near sunset time. I particularly enjoyed seeing from the air places to which I have hiked before, such as Chessler Park. 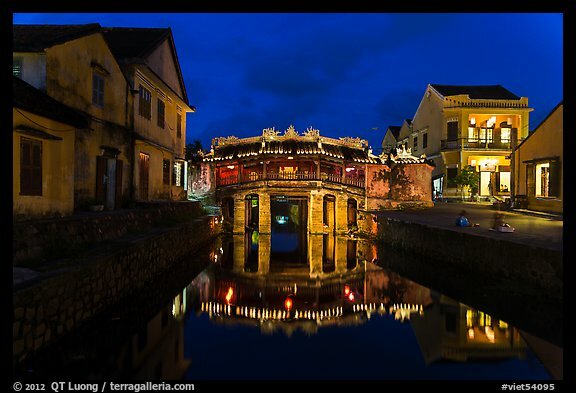 In late October, I had the pleasure of leading a Vietnam Photo Tour which managed to visit in 11 days an incredible variety of sites in South, Central, and North Vietnam. Thanks to our participants for making this tour a success, and to my co-leader Phuoc Babcock for putting forward first rate logistics, with the very finest hotels, restaurants, and transportation available in Vietnam. A great time was had by all. After the tour, I explored Taiwan by myself for a week. I returned to Vietnam during the winter break so that my children could discover the country of their ancestors and meet with their extended family. Looks like a productive year, QT. Great mix of locations and timing. Some awesome images, I especially love the 7th image. What a wonderful year you had and glad that the shoulder healed up for you. 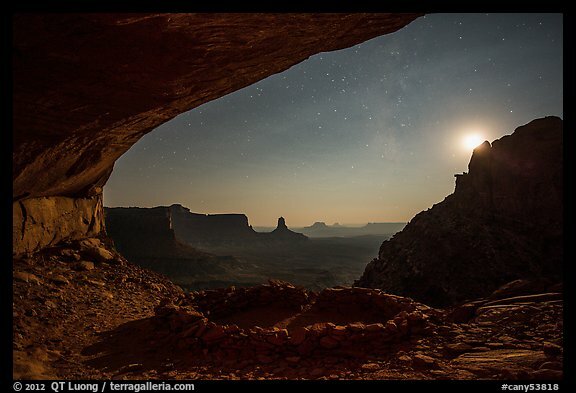 My favourite of your 2012 images is the night image in Canyonlands. It must be hard to pick only 10 favourites out of your amazing collection. I distincly remember a few from Arches that didn’t make your list. De belles images comme toujours 😉 Encore bonne année! Looks like a wonderful year, QT. I’m sorry we weren’t able to connect during your time in Moab. Maybe next time. These are all fantastic images. I’m most impressed with your False Kiva photo and the image of the Rio Grande in Big Bend. Congrats on a great year and all the best for a successful 2013! You captured some really wonderful and unique moments this past year QT! May the new year bring you equal success. Fantastic and quite diverse set of images…it’s difficult for me to pick a favorite, but I also don’t think I need to since they all have their own appeal. That said, I really have always been intrigued by the Dalton Highway and enjoyed your blog posts on that earlier last year. Looking forward to seeing where 2013 takes you! Outstanding work QT – These are all winners! It sure looks like you had a great year to me!! Beautiful series of images!! Thank you everyone for your kind words. Since this was the most mentioned image, I’ve submitted “Moon and stars, False Kiva” for the second issue of Plus One Collection (http://plusonecollection.com/) where it as been accepted.